Come back to the Isle of the Dead to KICK! PUNCH! 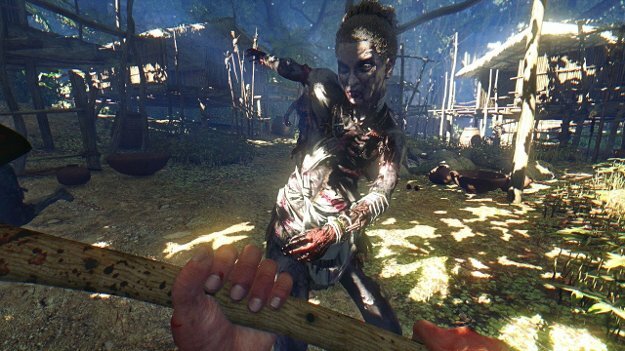 At least one game has very good graphical updates; One Punch Mode; Dead Island looks great. Dead Island Riptide; Retro Revenge won't work on my console. 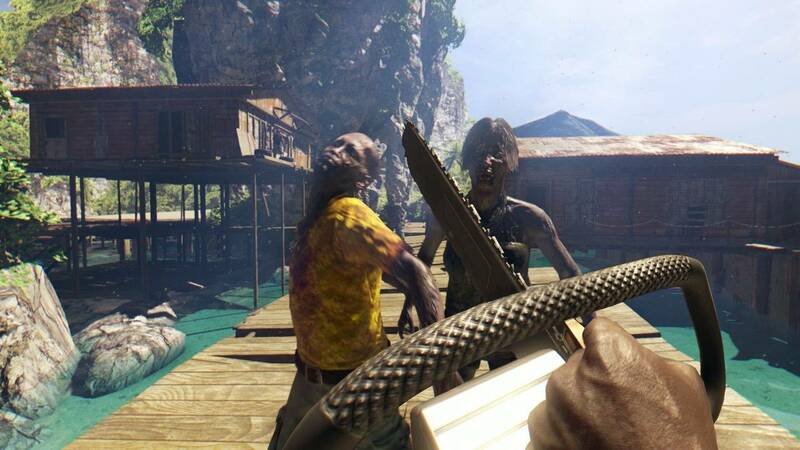 Dead Island was a fun, exciting game when it was first released to consoles. It gave players an entire island of terrifying zombies to run from and murder as they attempted to survive the sickness that spread across their vacation paradise. Dead Island Riptide revisited the survivors from the first game and added a new one, updated some of the games quest mechanics and changed some of the character advancement mechanics. Despite the changes, the second game could arguably be considered a let down, as some of the game mechanics were generally rather aggravating in execution. 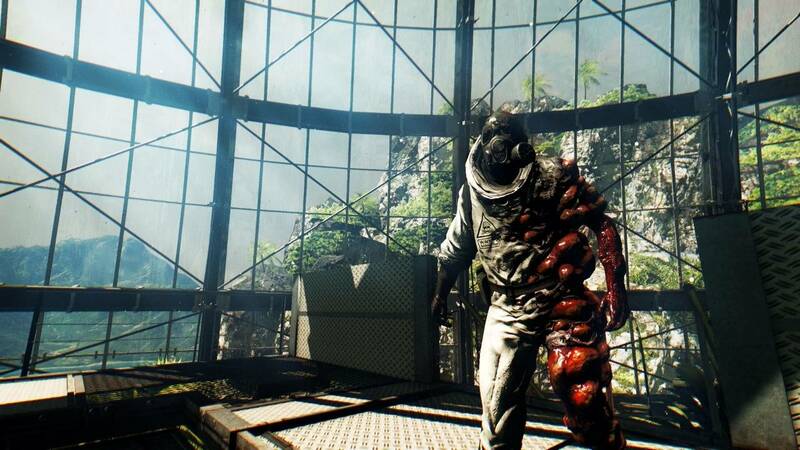 Dead Island as a whole is still a pretty solid game series and the first two games are worth a play through for anyone who enjoys a good survival horror series. As for the revamp in the Definitive Edition: better, badder and more awesome should be the name of the game. Since it’s not a straight port, some sort of improvement over the original should be in the cards for this edition in order to make it worth it for the players who are upgrading from the original to the newer. 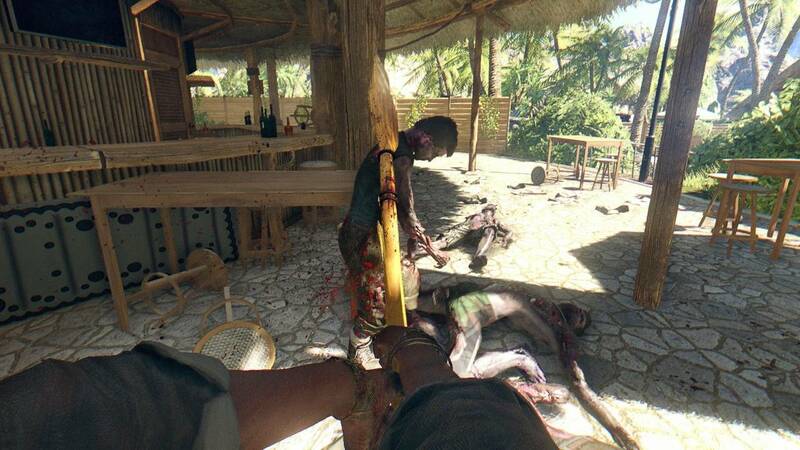 The upgrades to Dead Island are definitely noticeable. The graphical updates are very nicely done and were exciting to see. The textures are updated; skin is smoothed out and in some cases, the characters have their flesh appropriately pitted and wrinkled. The trees look more realistic as they move in the breeze. The water is beautiful, clear and blue. And the rotting, diseased corpses are even more disgusting then before. Looking at the time games side by side makes the changes even more stark as there are even places in the game where I saw changes to the background decorations and changes in the environmental design. Even more exciting to see was that it appeared that some work was done on the synchronization in the game. I may just be hallucinating, but it honestly looked as if the mouth flaps of the characters moved more realistically than they did in the first game. Combined with the sleeker graphics all around, it created a more immersive experience the second (or third, fourth or fifth) time through the game. 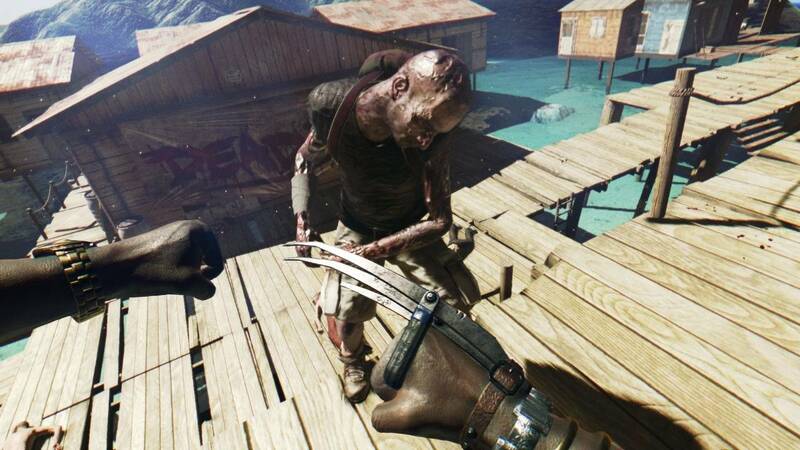 In addition, for the Definitive version of Dead Island, they decided to add in One Punch Mode. In this mode, your regular punch and kick attacks are now deadly attacks to the normal zombies and Infected that roam the island. 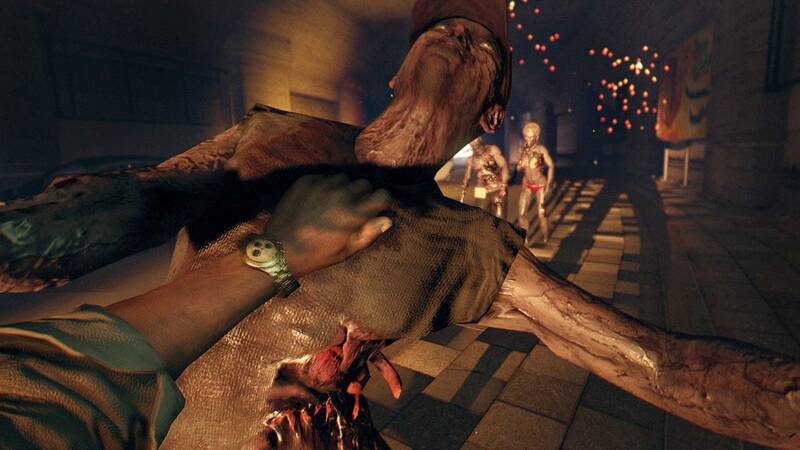 The special zombies still require you to use something with a bit more zing, so upgrading weapons or using explosives is still necessary, but I routinely walked around with just my fists out, punching and kicking the regular zombies. And I have to say, it is an amazing mode. Watching the regular zombies go flying through the air after a well-timed kick is incredible. After landing critical hits they sometimes explode into pieces which is even cooler. The one thing to be very careful with in One Punch mode, however, is that critical attacks can also trigger fire and electrical attacks. Which means that if you’ve landed a critical hit on an enemy and it’s standing too close to you, you may get hurt just from being too close. And in the case of a hoard of enemies moving in to attack it is entirely possible to be punching one enemy, land a critical and be moving to attack the one behind them, only to be electrocuted by your One Punch mode critical. Whoopsie. 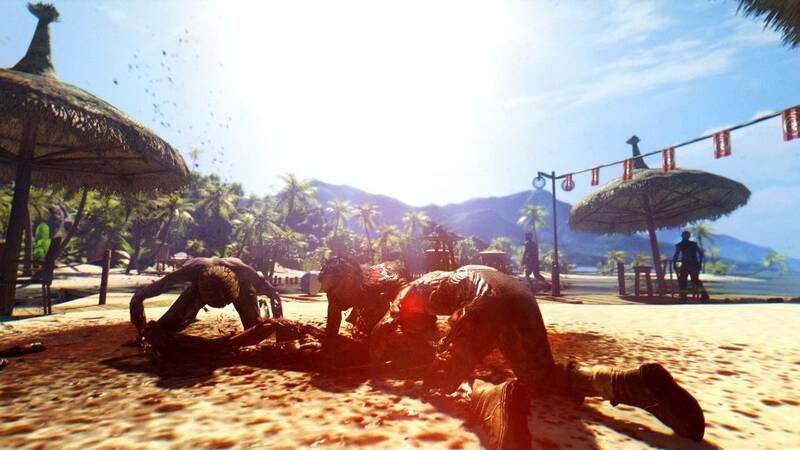 Dead Island Riptide is a tremendous disappointment, however, both in terms of graphics and general gameplay. When I turned the game on, it vaguely looked as if there were some updates to the game. Some of the graphics looked updated. There were a few things that were shinier. But when the camera centered on the faces of the characters, it was absolutely appalling. It didn’t look as if any work had been done. They looked absolutely terrible. The faces were still waxy and very unrealistic looking. Synchronization is still horribly done. And this is comparing it to Dead Island Definitive; forget comparing Riptide Definitive to the original Riptide. The differences in work between the two upgrades are very drastic. It looks almost like whomever worked on Dead Island Definitive did a whole lot of work trying to improve the way the game looked and the way the characters moved when speaking and the Riptide team just wanted to get the game into the next console generation. 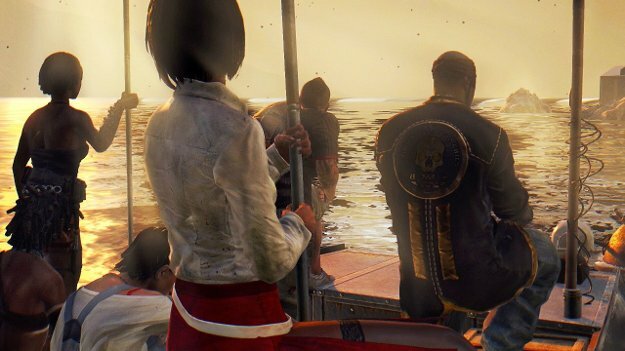 And considering that Riptide is generally an inferior game to the first Dead Island in general, there isn’t much to recommend the Definitive edition of it. For anyone who’s played the first two games and really wants to replay on the new consoles, go ahead and buy the Definitive Edition. One Punch Mode almost sells Dead Island Definitive itself, and the graphical updates are very well done. 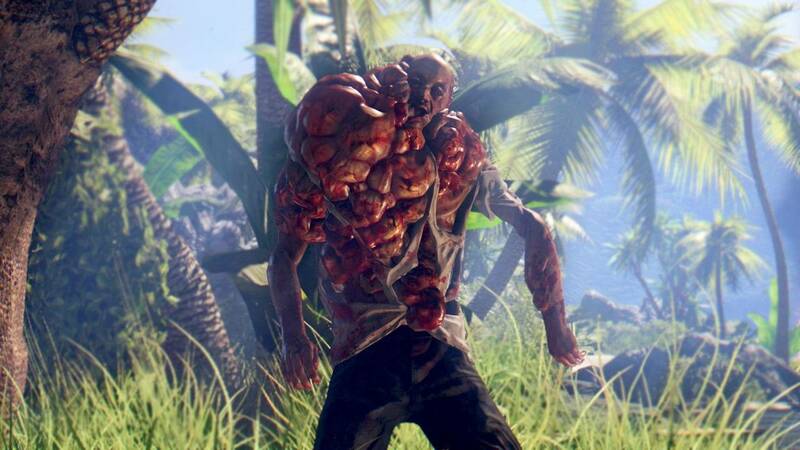 For anyone who hasn’t played Dead Island yet, what are you waiting for and why are you reading this? Go, go go, buy it and play it! It looks very pretty with the updates. Dead Island Riptide is alright. The Definitive Edition is nothing to write home about and I’m very disappointed with what they did not do with it. Other than that, it’s sad that they didn’t do any other changes to the game or include any other updates to the basic game, such as the leveling system from the second game added into the first, which I actually enjoyed and thought was pretty awesome.